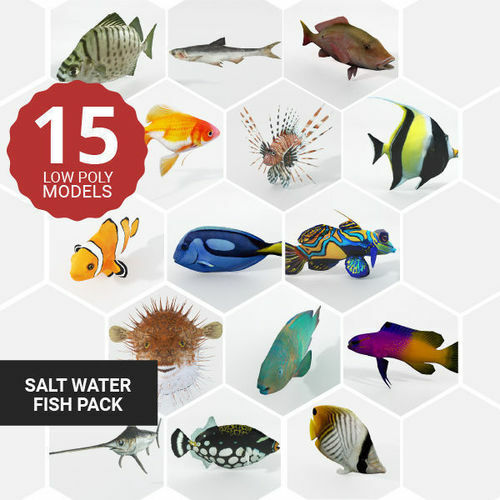 15 3d saltwater fish models package/collection low poly. Perfect for games, scenes or renders.All textures are UV mapped for easy editing. (2048x2048 pixels).